Krishna is the most attractive, joyful space within all of us. When there is no restlessness, worry or desire in the mind, you are able to get deep rest. And it is in deep rest that Krishna is born. 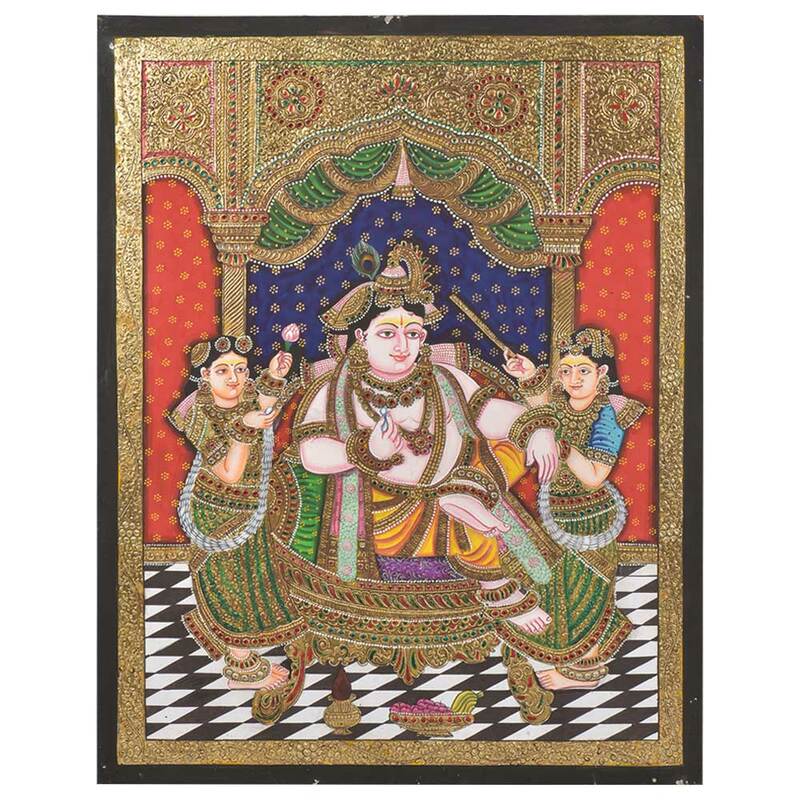 This tanjore painting is a beautiful reminder of that consciousness. Bring home a piece of this art and enliven the atmosphere of your home. Width : 19 inches approx.